Danish Christmas is all about family, food, and tradition. It’s always fascinating to learn about the traditions surrounding major holidays when you have just moved to a new country. So here is a sneak peek into celebrating the month of December like a Dane. Christmas is celebrated throughout December and traditionally until St. Knut’s Day on January 13. Long lunches or dinners are held by workplaces, friends and family. Julestue, a combination of the Danish words for Christmas and living room, is a full day get-together at home with friends and family, usually enjoying some Danish favourites such as æbleskiver, gløgg, and making Christmas ornaments. It’s the most hyggelig thing you will ever experience! 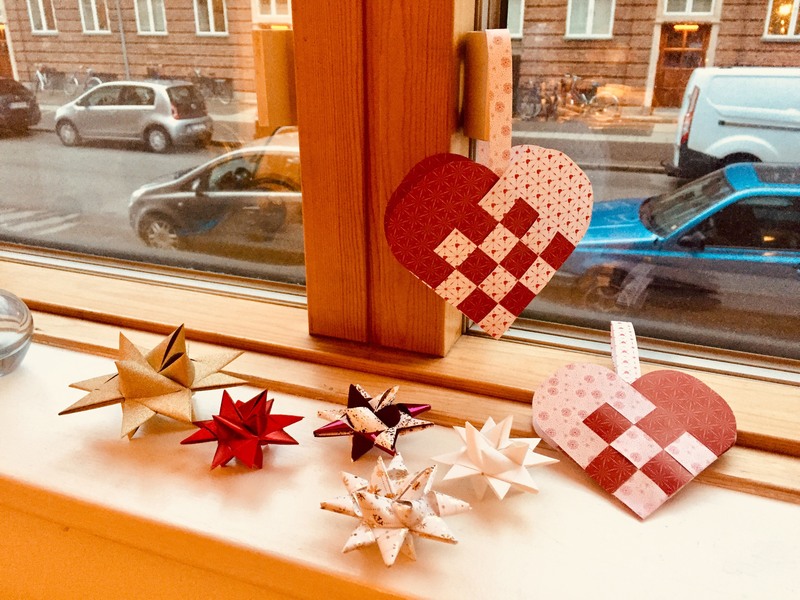 Typical Danish decorations that both kids and adults can make are Julehjerter (Christmas Hearts), Julestjerner (Christmas Stars) and other julepynt (Christmas decoration). They’re made from folded paper and the main colours are usually white, green, red, gold and silver. The Yule-heart, which is paper woven into the shape of a heart, is a symbol of Christmas in Denmark. It was first described by the Danish writer Han Christian Andersen in 1867 in his story The Fir Tree. There are many sweets to enjoy this season, and for those who have a sweet tooth, like I do, you will LOVE the famous Danish æbleskiver. The name literally means apple slices in Danish, but they rarely contain any apple. 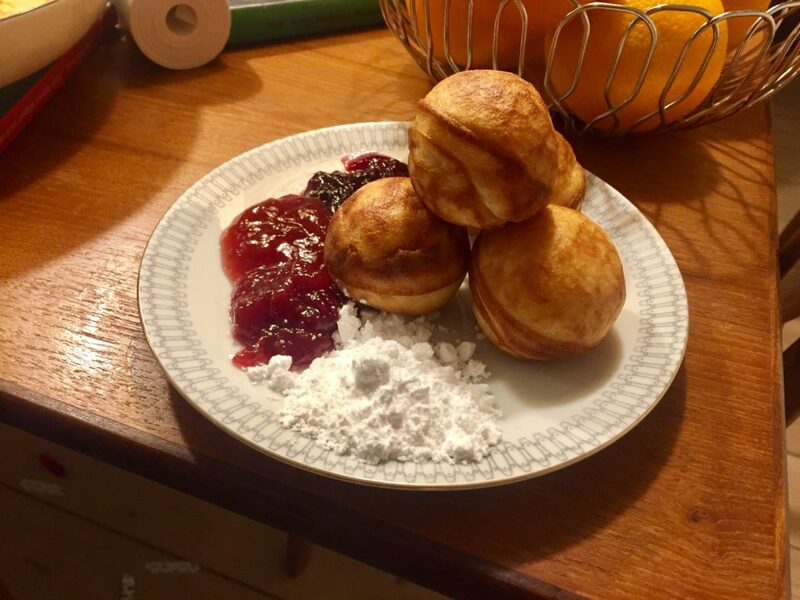 Æbleskiver are light and fluffy fried dough balls that you can dip in jam and powdered sugar. They are fried in a special pan where you pour in the batter. If you don’t know how to bake you can buy them frozen from any supermarket and they are just as good! Æbleskiver are served with gløgg, a typical Christmas drink of warm spiced wine with almonds, raisins and cinnamon. All that’s left is to light some candles and surround yourself with good company to experience hygge at its finest!